Today I finished reading it. 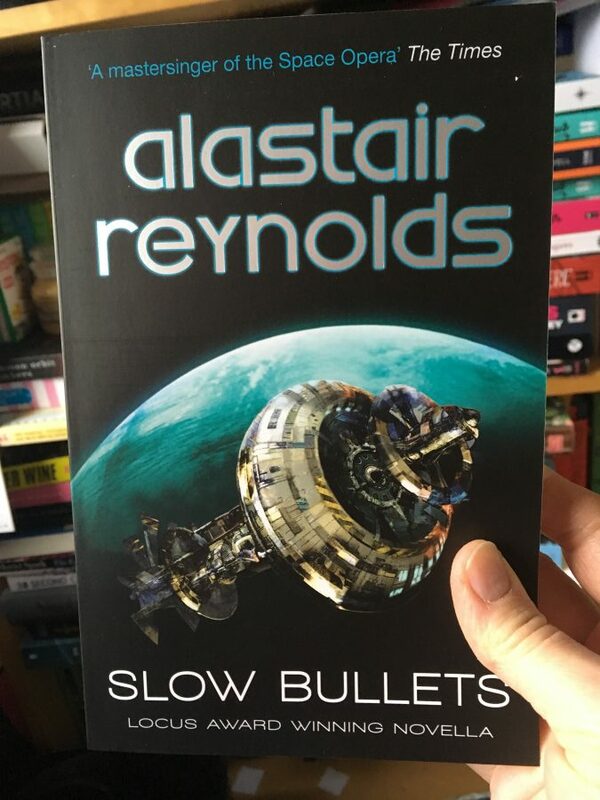 A fairly short (at 182 pages) novella written by Alastair Reynolds. I have to admit I hadn’t heard of him before or his writing so I can tick off quite a few things all in one go there. 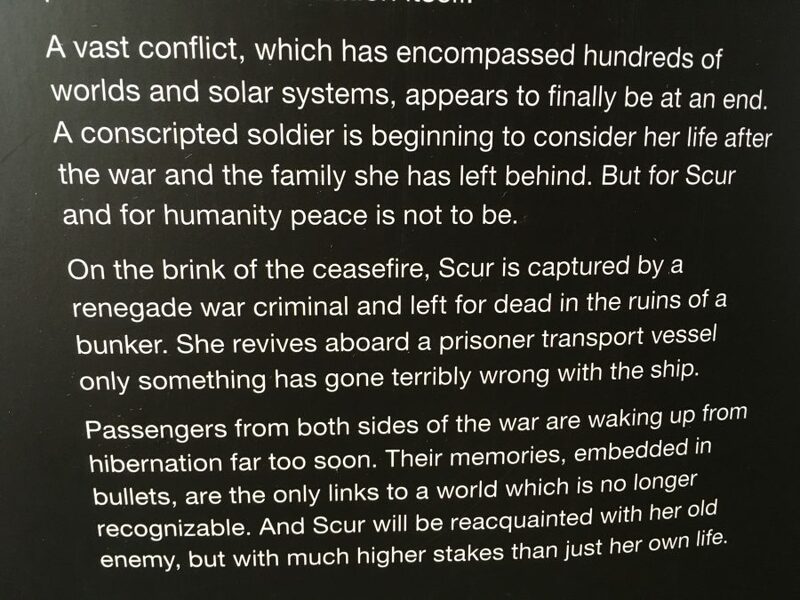 Its a lot darker and a lot deeper than i imagined it would be and i’m not sure i’ll ever be able to understand it fully but I do love Alastair’s writing. His dialogue is wonderful, the plot begins fast paced and confusing to us readers but slows down and introduces us to the main protagonists, some of which Scur, Prad and Yesli are fascinating. Its a tense, exciting thriller with a shadowy presence of doom always hanging in the air. The characters are at first understandably suspicious of each other but throughout the story there is a sense of coming together which is beautifully written and the pace does not slip for a moment which i why i read this in a day. Its not overloaded with ‘spacey’ terms and phrases so is good for a beginner like me. Its also the only book I can recall which has absolutely no romance or close friendships between the characters, its quite a revelation but a good one. Bottom line is I really enjoyed it and it was a great place to begin my Sci Fi reading quest, so thank you to Gollancz books for sending me a copy in exchange for a fair and honest review.